Buro 24/7 Malaysia: This month, we're all about the ocean. We got 7 Malaysian personalities to come together for a serious topic of discussion—shark fin. They shared with us their thoughts on the issue and what are their pledges to #SayNoToSharkFin in this exclusive interview. Buro 24/7 Singapore: It's summer month and we're going to get jazzy with our hands. Specifically, the fingers. Check out six easy, DIY ways you can rock your nails with bright, vibrant colours and super cool nail art. Buro 24/7 Malaysia: In another series of #BuroGetaway, we take a look at five places to visit in Bali to make your interior designing dreams come true. Also, read on where to find the most exquisite Balinese jewellery when you're in the island of God. 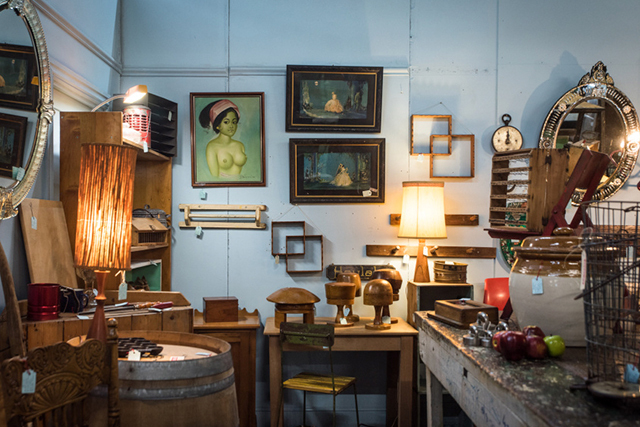 Buro 24/7 Australia: Also on the subject of interior, bookmark this page for your vintage furniture guide to stores in Sydney. From Persian rugs to psychedelic lamps of the 60s and mahogany side-tables, there's a treasure throve to be found in these haunts. Buro 24/7 Middle East: There's a reason why Christian Louboutin is famously sought after for its red-soled heels. Perhaps, next we'll be just as enamoured with its latest Fall-Winter 2017 collection called Loubi-Athlete. Colourful and eccentric, you can take a look at the shoes here. Read up on last week's edition of #BestofBuro here.